Final instalment of the dystopian sci-fi series. The first two instalments of the now complete Maze Runner trilogy graced cinemas as recently as 2014 and 2015, but as I donned my 3D glasses for this final chapter, The Death Cure, I felt like I was taking a trip back in time to another era. Five years ago, it seemed like every month a new Young Adult sci-fi wannabe franchise starter set in some dystopian future was opening at your local picture palace. The genre has practically died out at this point, leaving behind one series that was a genuine monster hit (The Hunger Games), one that did mildly well before collapsing in on itself (Divergent), and a whole host of franchise non-starters that stumbled at the gate (The Giver; The Mortal Instruments; The 5th Wave). Compared to The Hunger Games and Divergent, The Maze Runner seemed to receive little attention, but a look at the box office takings - almost $350 million for the first chapter, $310 million for the second, The Scorch Trials - tells you why it's made it all the way to completing its trilogy. 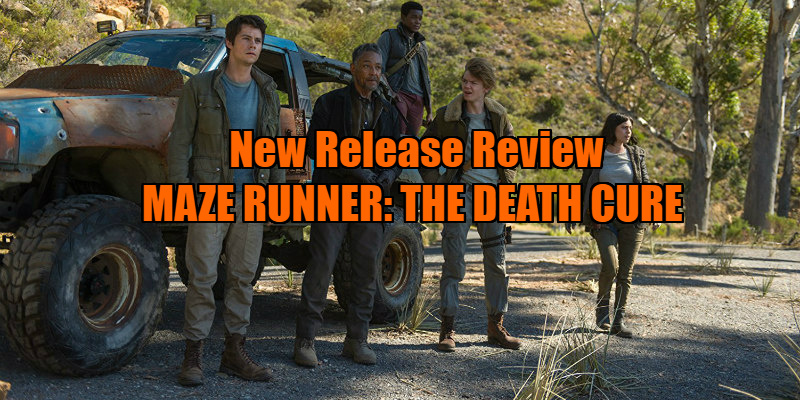 Unlike most franchises, the budgets have steadily increased for each Maze Runner sequel, and putting every cent of its $80 million budget on the screen, The Death Cure has a sense of scale absent from most of its YA rivals. 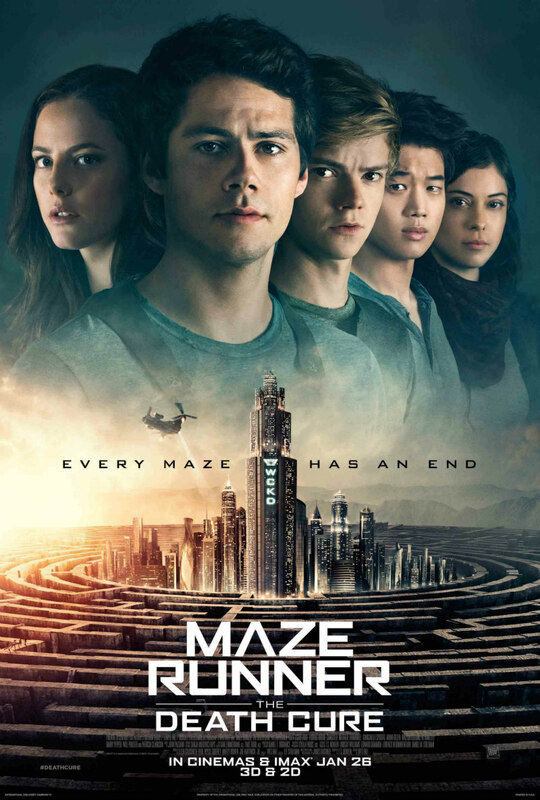 The first movie was a relatively confined affair, with its hero, Dylan O'Brien's Thomas, finding himself part of a colony of teenage boys (and one girl: Kaya Scodelario's Teresa) trapped in a mysterious glade, the only way out through a large maze guarded by creatures known as Grievers. It was a welcome change from the run of the mill YA premises we had become accustomed to at that point, buoyed by a likeable young cast and a plot that kept the viewer guessing. The first sequel, The Scorch Trials, saw Thomas and his young army emerge into a dystopian society, and at that point the franchise became virtually indistinguishable from its rivals. Arriving a couple of years after the YA genre quietly shuffled away to TV obscurity, this sense of "haven't we seen this before?" is amplified in The Death Cure, which must surely represent the last gasp of teen dystopia. The Death Cure reaches a hand into the sci-fi grab bag of the last few decades, pulling out everything from zombies to Mad Max to a Blade Runner inspired future cityscape. Wes Ball's film jerks ungracefully from one set-piece to another, but viewed in their own bubbles, they're admittedly very well executed set-pieces. The film opens with a thrilling train heist, like George Miller directing a western; a scene in which a bus makes a novel escape from a walled city with the aid of a crane is the most visually impressive sequence the YA fad has given us; and a final, fiery rescue attempt riffs on the climax of James Cameron's Aliens. Even the 3D is somewhat mildly justified, as Ball makes good use of the vertigo inducing high rise aspect of his neon drenched techno-city. It's clear that Ball knows how to put together the sort of set-piece that makes you sit up in your seat, and I'm excited to see where his career will take him now that he's free from the shackles of this series (Ball has directed all three chapters of the trilogy, the only features on his CV thus far). The trouble with Ball's trilogy is that, despite being played by some very talented young stars, the central characters are a bunch of dullards, so it's impossible to emotionally invest in the dazzling sequences Ball constructs. This also applies to the adult villains, with Aidan Gillen and Patricia Clarkson stuck playing baddies so poorly sketched you need to hold them up to the light just to make out an outline. If, as I suspect, The Death Cure confines the YA sci-fi genre to pop culture history, it's difficult to look back on the movement with fond memories. Personally, the only entry I truly enjoyed was the overlooked The Mortal Instruments, a movie that embraced how silly its premise was and which should have made a superstar out of its leading lady, Lily Collins. In hindsight, the paper thin earnestness that dogged much of the genre feels like no more than a stylistic affectation, a by-product of the Christopher-Nolan-isation of genre cinema. For many teens who don't have the luxury of being wealthy, straight or white, the early 21st century is itself an all too real dystopia. What a shame this genre never reflected their fears. Maze Runner: The Death Cure is in UK/ROI cinemas January 26th.